Planning a wedding is sometimes complicated. There are so many details you need to decide on. One of them are wedding centerpieces. If you’re having a fall wedding, you’ll need some inspiration for table centerpieces. That’s why, you need to check our nifty list. Let’s start with some pretty pink roses. 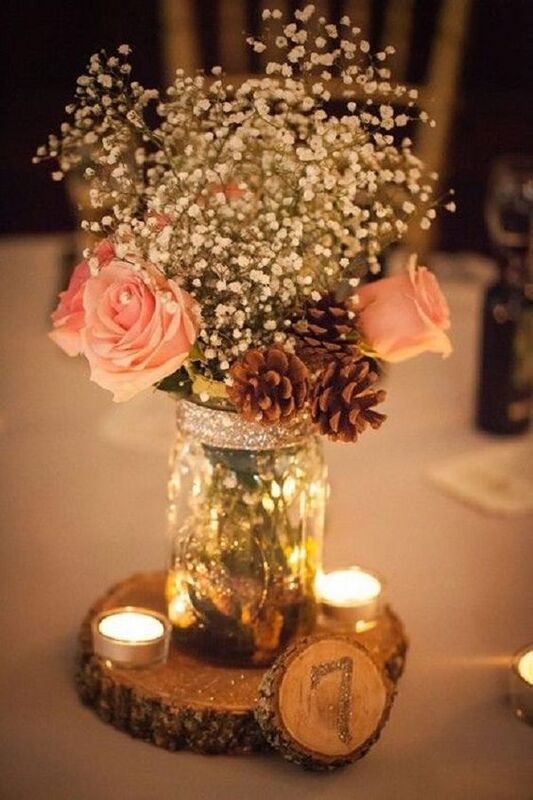 Now, I know that roses aren’t really fall flowers, but the do look great in this arrangement with some pine cones and baby breath flowers. What makes it even more special is this wooden stand and tealight candles.